Now the Peeps aren’t all we use. We also use a bag of large marshmallows as well to create this yummy treat. And to kick it up a notch, I threw in a handful of mini chocolate chips as well so that ooey gooey sugary treat also has a hint of chocolate. And the best part is that rice krispie treats are super easy to make. 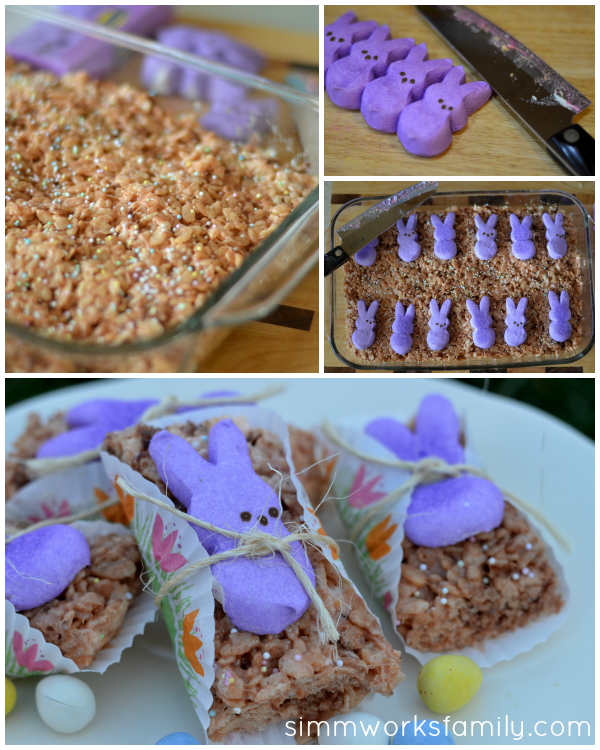 So Peeps rice krispie treats are just as easy. 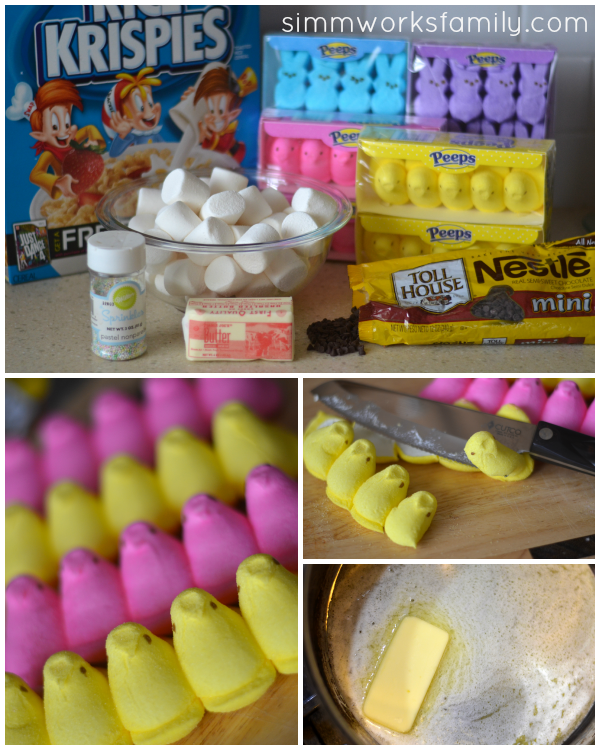 Plus… it’s kinda fun to cut the Peeps up. I’m alreayd known for biting off their heads so what’s a little more chopping? And it’s super fun to use different colors and see how they mix and meld into the pot. Melt butter in large pot on medium low heat. Chop up Peeps into small pieces. 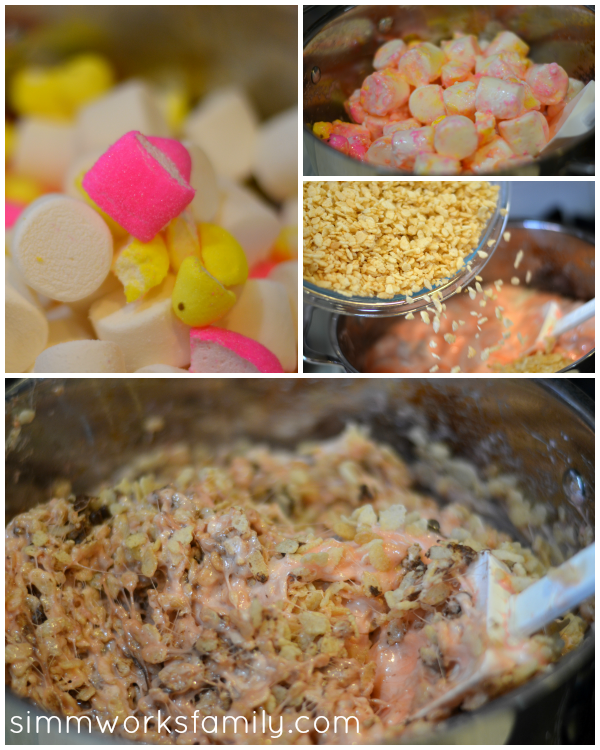 Once butter is fully melted, add chopped Peeps and bag of marshmallows into the butter. Stir with spatula until marshmallows are completely melted together and fluffy. Turn off the heat. Add in the crispy rice cereal and stir to combine. Once combined, add the mini chocolate chips and stir. Chocolate may melt due to heat. Grab a 9×13 baking dish and press mixture into bottom of dish. Spray a little cooking spray onto your spatula to help spread to each corner of the dish. Let sit and cool before serving. See below for optional decorations. If you want to spruce up your Peeps rice krispie treats even more, sprinkle them with some pastel sprinkles. Then, taking a package of bunny Peeps, start cutting the peeps in half lengthwise. Place marshmallow/sticky side down on the treats to stick. 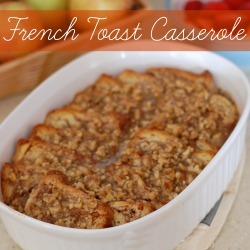 Cut into small rectangles around the Peeps and serve! 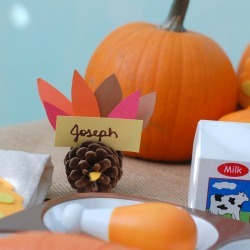 You can serve these in spring-themed cupcake liners for less stickiness and added cuteness. 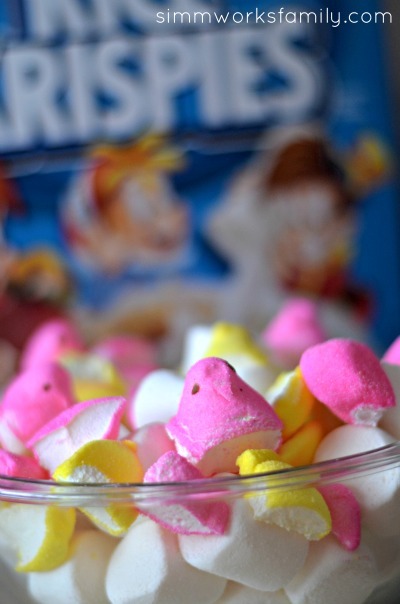 How do you eat your Peeps? 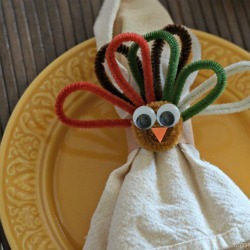 My son loves to eat mash mellows, I am going to try this in the week end and he is going to love it. Those are really cute. 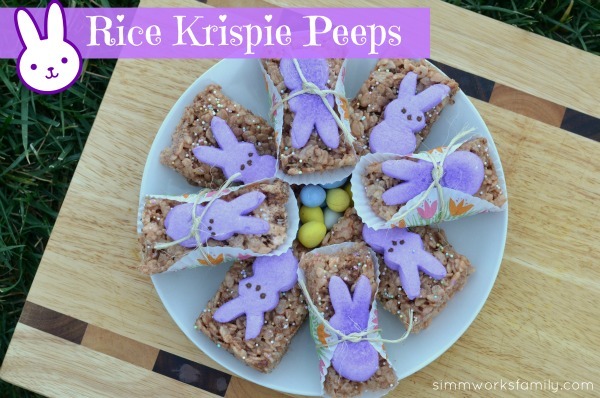 Can you believe that I’ve never made Rice Krispie Treats? 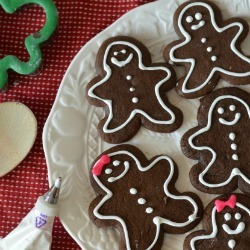 They’re the first dessert my husband learned to make himself and he still makes them regularly over here. He has it down to a science! i think i hate you. i love peeps. and krispy treats. 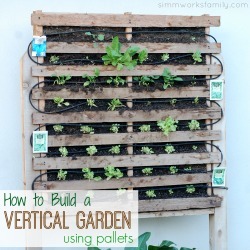 and i already pinned this. hello, 5 pounds on my rear end. welcome to my body. cursing you for this deliciousness! Just make sure to invite friends over to help devour them! You know, I was thinking of picking Peeps up today too! Those look super yummy and festive for Easter.